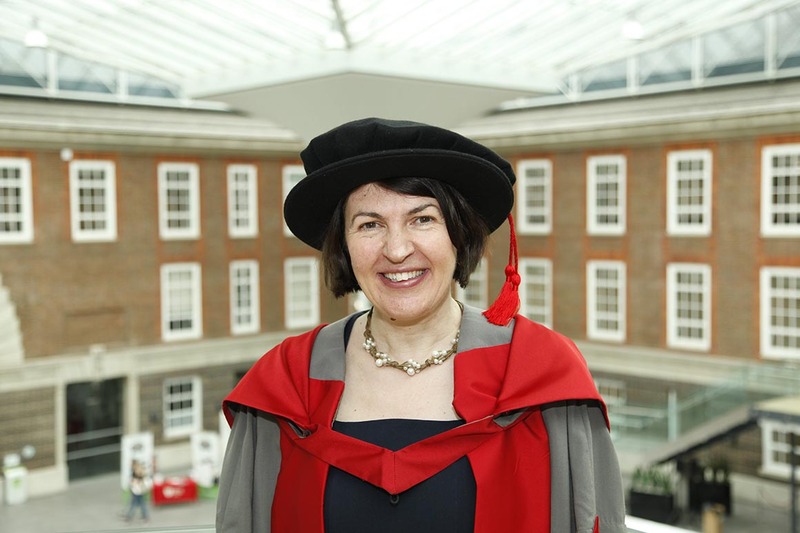 Dr June O’Sullivan MBE, Chief Executive of the London Early Years Foundation (LEYF), has been awarded an honorary degree by Middlesex University. She was presented with the award at the University's graduation ceremony on Wednesday 15 July. Dr O'Sullivan has headed up the UK's leading childcare charity and social enterprise since 2006, and continues to work closely with policy makers and Government to improve quality and performance in Early Years and promote a better understanding for the long-terms benefits of play-based early years education. Cork born Dr O'Sullivan's dedication has not gone unnoticed, as she was awarded an MBE in the Queen's Birthday Honours in 2013 for her services to London's children, with LEYF running 34 nurseries across 11 of the capital's boroughs. A fellow of the Royal Society of Arts, Director of Early Arts, council member of the Early Intervention Foundation and founding member of International Early Years, she is a published author, a qualified psychiatric nurse and social worker and regularly comments on early years, social business and child poverty. Speaking of her honorary degree, June said: "I'm delighted to be given this award from Middlesex, a university with which I have a warm and established connection. "I can think of no better university to receive my honorary doctorate from. I am genuinely delighted to receive this and I think it is another step in cementing this important working relationship." Middlesex University Vice-Chancellor Professor Michael Driscoll said: "June has been instrumental in influencing policy for early years and making society a better place for all children and families. She is passionate about children's wellbeing, particularly through the equal access to the same high quality opportunities for learning. "We are delighted to have welcomed her to Middlesex and present her with this award."